Yes,undoubtedly the best creator is god..The best example is human body.There cannot be an equivalent control system like the human body..How the billions and billions of cells are generated every second and how they die within the body itself, yet not harming any part of the body is really a mystery..The perfect hydraulic system(the blood circulatory system),the fantastic electrical system(the nervous system and the brain),the amazing sensors and transducers(eyes,ears,nose,tongue and skin),the awesome mechanical system(the muscles and joints) can never be patented by any one except God.Above all,he created the miraculous mind,whose characteristic study is a big challenge to the science….WOW!!! If a single object of God’s unfettered imagination is so innovative,how much beauty he might have embedded in his entire creation?? ?Really unimaginable!! 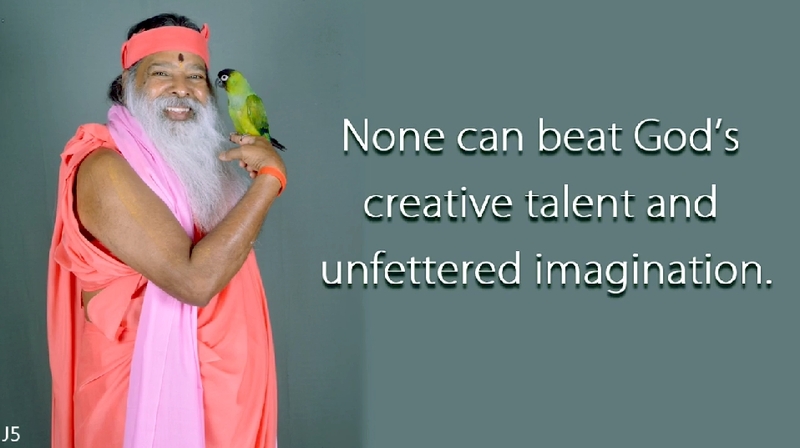 Jaya Guru Datta! Harih Om Tatsat|| Thanks for the Divine teachings and blessings Sri Guru Datta.